Celebrate Holi in the wilderness. 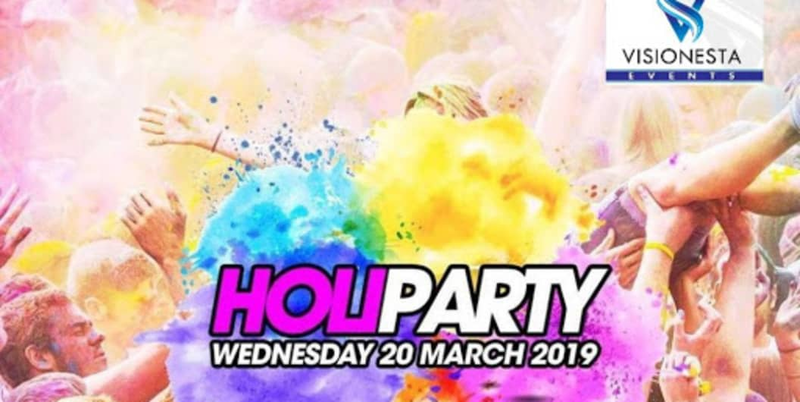 Join us for Holi party of 2019 on 20th March. We welcome all enthusiast for these 2 days of colorful festival. Come take camping experience with Mother Nature away from the city, experience Cold Air, Dark Night, Warm Fire, Bright Stars. Away from the hustle and bustle of the city enjoy a peaceful dinner. Dance with your friends and family. Feel relaxed in our camping tent. About Dahanu: Dahanu is a place at Palghar district located on the North Side of Mumbai. It is basically 2 hours drive from Mumbai. Dahanu is famous for its beaches and rural tourism, making it a great weekend plan. BYOB- You can carry your liquor, cold drink stall will be available. Drinks can be provided by nearby shop. On Arrival have Refreshment. Our organizer team will provide you with 1-liter purified water. Freshen up and have soulful snacks with Garma Garam Tea/Coffee. 05:00 pm: Settle down and enjoy the sun setting from the Campsite. The place is all time best for nature photography. You may enjoy indoor games such as carrom, badminton, volleyball or one can just relax and unwind at the campsite until sunset. Enjoy the view of this beautiful campsite which is also a nursery. The shades of different color of flowers and the Chiku Trees will make you feel wonderful. 07:00 pm: You can enjoy the experience of cooking the Barbeque for yourself (Veg/Non-veg)**. We'll guide you for the same. **Make your Own Barbeque at (additional cost Rs.400 per kg)to be intimated 1 day before the event or you can. 09:00 pm: Its time to move and groove to the beats of Live Acoustic Music and participate in the Auspicious Holika Dahan Ritual. 10:30 pm: Unlimited Delicious dinner (Veg/Non-veg/Jain) will be served prepared by locals with traditional Indian cooking style. 11:30 pm:- And finally, the most waited moment to counter the chill around sizzling, hot and burning campfire by the campsite! And this experience will be locked forever accompanied by loads of fantastic memories! 07:00 am: Wake up around 7 am and enjoy the chillness of the air. Freshen up and have breakfast,which will be simple and tasty. 08:00 am - 11:00 am: Enjoy the Biggest HOLI BASH, Full on Dance!!! as the DJ will be belting out the sexiest beats; play with colours & get wet in the rain dance arena. Any other personal expenses are other than Inclusions. - Any age group can enjoy at Campsite, as the campsite is fully safe. 3) How will be staying facility? - Stay will be in Tent (2/3 person sharing basis); Blanket and pillow will be there. 4. Welcome drink- Tea and Snacks. 5. Kids allowed or not. If yes, charges:kids allowed,below 5 years its free,5 to 10 years tickets are available. Team Visionesta Participants or members are responsible for his/her own safety and baggage. Visionesta events reserve the right to change/cancel the plans without any prior notice. Do not smoke or light any items inside the tent as it may cause a fire in the tent. Please remove your footwear outside the tent and keep the tent neat & tidy. Weapons or any inflammable things are not allowed on the premises or in the tent. If any damages are caused to the campsite, tent or bedding, camper/guest will be responsible for the damage and will have to pay the charges for the same. All guests must follow the camping rule. Special Details: Reach the campsite at 4:00 PM.